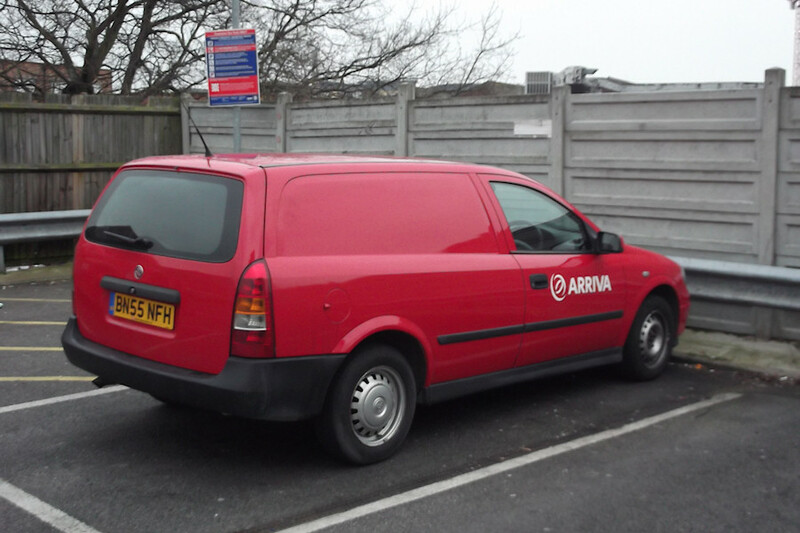 Details: Another red Arriva vehicle at Romford on 4th April 2013, this being Vauxhall Astra van BN55NFH. This was until 2013 Arriva the Shires fleetnumber 1128, based at Garston garage in white livery. Since the repaints do not include fleetnumbers, we don't yet know if this transfer has been allocated a new fleetnumber in the Southern Counties V-prefixed series.